Welcome to 818 Dental. 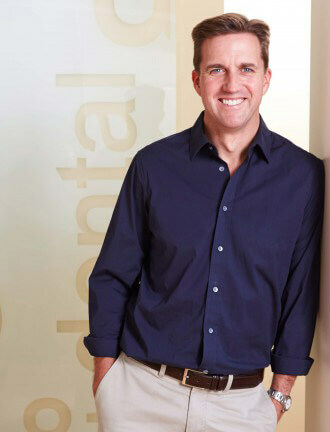 We are a family dental practice located in High Street Armadale, and specialise in the excellence of restorative and cosmetic dentistry for patients not just in or near Armadale but all over Melbourne. At 818 Dental, we believe your visit to the dentist should be an enjoyable experience and something you look forward to, not something you feel anxious about. Our surgery is a bright, modern and relaxed place for you and your children to be, and it's equipped with the latest dental technology. At 818 Dental we have embraced new technology to help you have a positive dental experience. We also have high-tech OPG equipment on site that allows us to radiograph you without sending you for a separate appointment to a radiologist. At your first visit to 818 Dental, we begin with a thorough consultation and examination. We prepare an extensive, fully costed treatment plan and supply you with a copy. We believe this combination has made us one of the most highly recommended dentists in Melbourne. At your initial consultation we can fully advise you on the kinds of restorative dentistry options available to you. All our dentists are trained and experienced in the restorative techniques of crown and bridge work and implant dentistry. Our smile gives an indication of who we are - much research has been done on how your smile can affect you. At 818 Dental we are trained in the use of crowns, porcelain veneers, gum sculpture and teeth whitening, to help you achieve a smile you can be proud of. If your teeth are sound we also offer an Invisalign alternative "Smilestyler clear aligners" and the Inman aligner to straighten teeth. Improving the appearance of your teeth is not as difficult as you might think!